Novak Djokovic was about as perfect as can be in his semifinal at Rod Laver Arena. Didn't miss much. Almost couldn't, really. It was a performance so flawless, so fantastic, that it was easy to feel as if only one man on the planet might have a chance of preventing Djokovic from claiming a record seventh Australian Open title: Rafael Nadal. As it happens, that is who he'll face in Sunday's final. 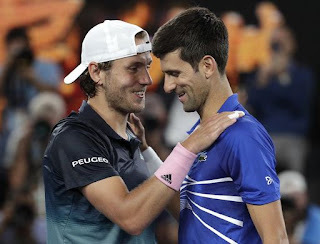 Djokovic never relented, not for a moment, while making an unheard-of total of five unforced errors against an overmatched Lucas Pouille en route to a 6-0, 6-2, 6-2 semifinal victory that lasted less than 1 1/2 hours. "I guess you're driven by some force that takes over you, and you feel divine. 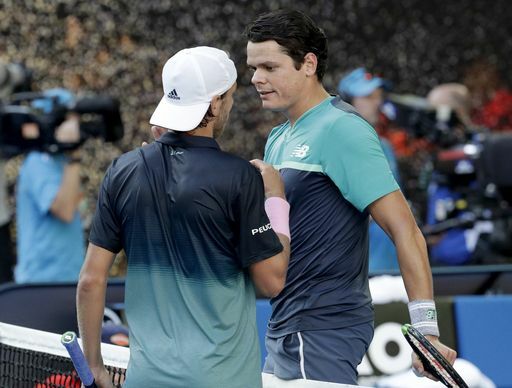 You feel like in a different dimension," Djokovic said. "It's quite an awesome feeling that we all try to reach and stay in. Probably the biggest challenge, I think, is how to repeat that, how to stay there for as long as you possibly can." Lucas Pouille reached the semifinals of a Grand Slam for the first time with a 7-6 (4), 6-3, 6-7 (2), 6-4 win over Milos Raonic. 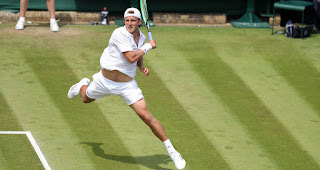 Pouille entered the quarterfinal 0-3 against Raonic but targeted the big-serving Canadian's second serve and won points on 35 of the 62 he faced. Pouille also protected his serve, and was broken just once in the match. He has been working for a couple of months with Amelie Mauresmo, who won two major titles as a player and had previously worked as Andy Murray's coach. "She's the right state of mind. She knows everything about tennis. It's not about being a woman or a man. It doesn't matter," Pouille said in an on-court interview when asked about the rarity of a top-ranked male player working with a female coach. "You just have to know what you're doing - and she does." 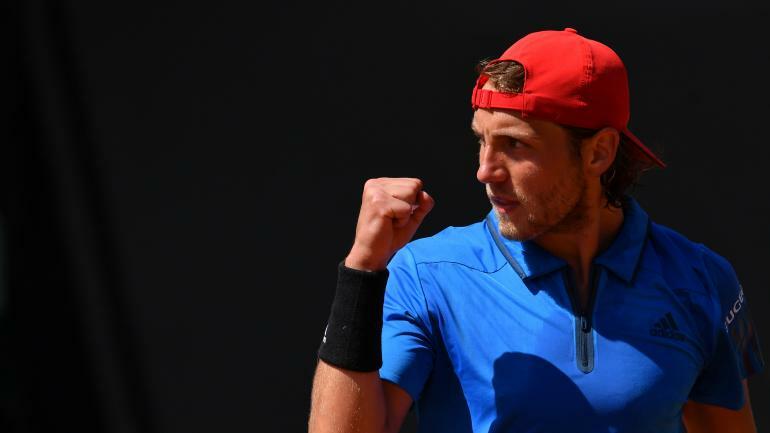 Watch Lucas Pouille react to his first victory against former World No. 1 Andy Murray, which he earned on Monday in the first round of the Western & Southern Open. Lucas Pouille stretches a valiant Andy Murray side to side before dropping the hammer to close out their first-round match at the Western & Southern Open. Watch Lucas Pouille use a burst of speed to respond to an Andy Murray drop shot with a drop shot of his own in the first round of the 2018 Western & Southern Open. Andy Murray was beaten 6-1 1-6 6-4 by Lucas Pouille in the first round of the Cincinnati Open. The Scot went under the knife in January but has had a frustrating time since he came back to the ATP circuit in June. 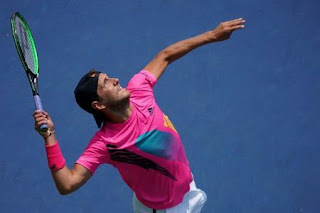 The former world number one had hoped to build on the momentum that had carried him into the quarter-finals of the Citi Open before he pulled out of the Washington tournament citing fatigue. But it was world number 17 Pouille who proved to be the more resourceful as he claimed his first win in five tries against Murray. Q. A lot of the seeds seem to be struggling in the men's and women's draw. Just wanted to get your thoughts on why you think that is. LUCAS POUILLE: I have no idea why the seeds are losing. I mean, I can talk about me, but talking about them, I mean, I really don't know what is happening here or the reason. LUCAS POUILLE: Because he was better than me today. That's it. I think that's the only reason. Watch as Mischa Zverev, Lucas Pouille, Nick Kyrgios, Kei Nishikori and other ATP World Tour stars weigh in with their predictions for the outcome of the 2018 World Cup. Watch highlights as Milos Raonic defeats defending champion Lucas Pouille to reach his first ATP World Tour final in more than a year at the MercedesCup. Photo Credit: Peter Staples/ATP World Tour. Watch as Lucas Pouille covers the width of the court before digging out a sharp-angled backhand winner against Milos Raonic at the MercedesCup. Watch highlights as defending MercedesCup champion Lucas Pouille defeats Denis Istomin to advance to the semi-finals, where he will face Milos Raonic. Watch two forehand Hot Shots from Lucas Pouille, who gets the better of Denis Istomin with angled winners on Friday at the MercedesCup. Watch highlights as defending champion Lucas Pouille beats NextGenATP German Rudolf Molleker to reach the MercedesCup quarter-finals. Video: MecedesCup. Photo: Alex Grimm/Getty Images. Lucas Pouille, the No. 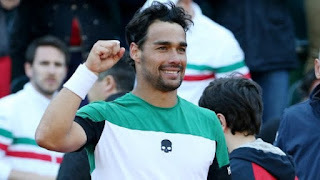 7 seed at the Monte-Carlo Rolex Masters, discusses why he loves the clay-court swing, the Rolex Monte-Carlo Masters and more ahead of his opening match against Mischa Zverev. Watch highlights as Roberto Bautista Agut defeats Lucas Pouille to earn his first ATP World Tour 500-level title at the Dubai Duty Free Tennis Championships. Photo Credit: Tom Dulat/Getty Images. Watch as Roberto Bautista Agut hits a tremendous backhand passing shot in the final of the Dubai Duty Free Tennis Championships on Saturday against Lucas Pouille. Lucas Pouille discusses how he overcame nerves with the help of the crowd to reach the final in Dubai. Watch Malek Jaziri launch a one-handed backhand winner past Lucas Pouille during their semi-final match in Dubai.